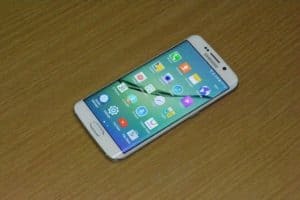 Just when I thought that the smartphone market is nearing saturation in terms of design, Samsung releases the next big thing – The Samsung Galaxy S6 Edge. Launched alongside its sibling, the Galaxy S6, the S6 Edge is an addition to what can be called, the most successful lineup in smartphone history. 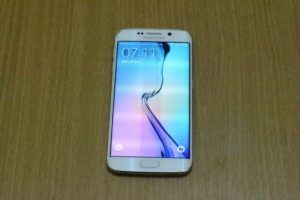 Samsung’s ‘S’ lineup of flagship devices have been known to bring the best cards to the table, and while the previous edition of the ‘S’ lineup, the S5 was recipient to a lot of negative reviews regarding the design language, the S6 Edge washed it all away, thus marking the beginning of a new era of smartphones for the Korean giant. 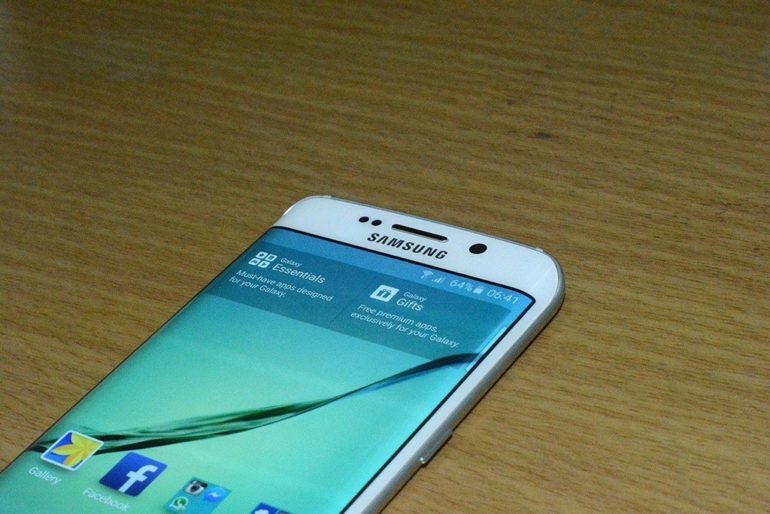 While the S6 is more of a standard flagship in all respects, its the S6 edge that catches the eye this time. 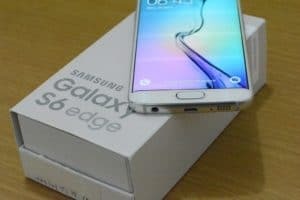 The S6 edge may just bag a win for Samsung in the long run, but if you just put that aside for a moment, you will see that they already have two psychological wins against their fiercest rivals already. What are the two wins ? While Apple was talking about creating the first Edge display phone, Samsung made sure they beat them to it. Actually, looking at the way Apple is going around with their iPhone lineup, I don’t think we will see an Edge version of an iPhone for at least a few more years. Samsung beat their Derby rivals LG in the Experimental Phone area as well. Technically speaking, you can call the S6 Edge an experimental device, as it is the only device in the world to have dual edge displays, so in a way, Samsung has taken a sort of gamble in terms of whether the device will appeal to the public or not, a gamble that LG took with their ‘ Flex ‘ Lineup. While the Flex lineup failed to take off due to the absence of some basic features, the S6 edge stole the show right form day 1, so I guess we know who the winner is here. 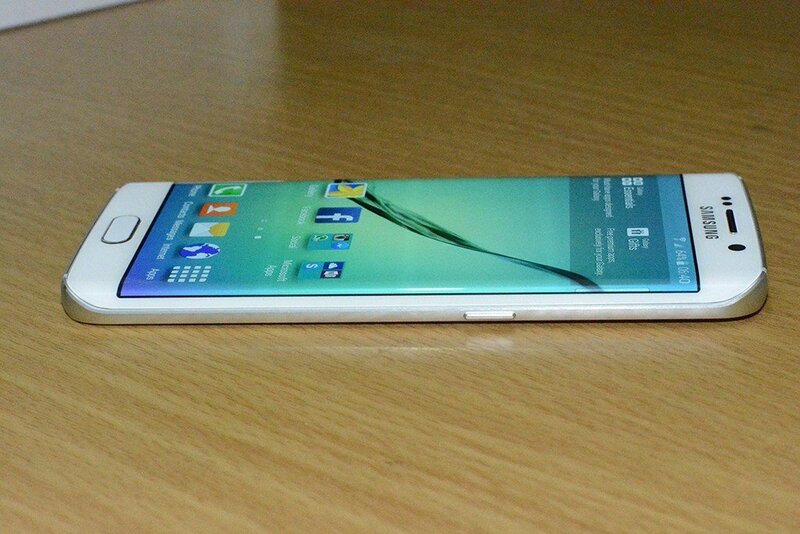 So what is it that makes the S6 Edge so desirable ? Lets take a look. 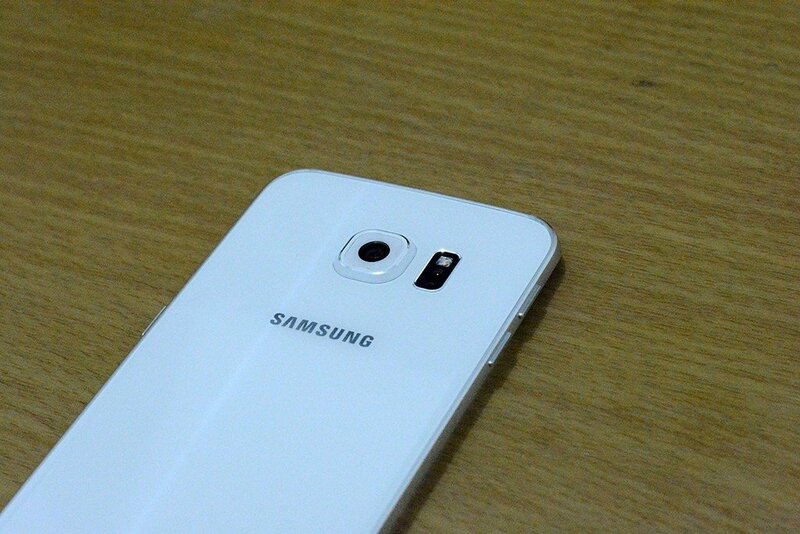 Design – When Samsung was at work on the S6 lineup, they named this project ‘Project Zero’. What this meant is that whatever Samsung had achieved with their S lineup thus far was in the past, and they were ready to move on to bigger things. Personally, if Samsung ever approached me and asked me what I would change in their flagship lineup, I would only say two things – Design and UI. That is exactly what the Koreans have done in this device. The Plastic is all gone and has made way to a more exclusive metal body. The selling point however is the Dual edge display. Samsung has placed the edge display on both sides of the display rather than just one like the Note Edge. Not only does this amplify the impact of the edge technology, it also adds a symmetry to the device, making it , without doubt, the best looking device in the world right now. As far as the internal UI is concerned, Samsung has revamped the entire Touchwiz UI, and made it , what I like to call, a Jazzed up Stock Android. The Bloatware has been removed to make the overall OS lighter on memory. This is something I wanted Samsung to do on their Touchwiz skin maybe two years ago, but as the saying goes, better late than never.Overall, I give this new design language a big Thumbs up. 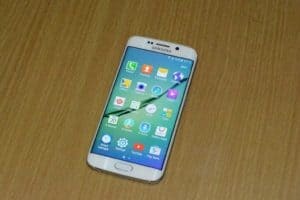 Display – Samsung has been known for giving the world some of the best smartphone displays in existence, and the S6 edge is no different. Samsung has gone all out on this one and given it the best they have got. 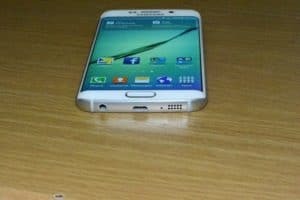 Then again, I don’t know what can beat a 5.1 inch QHD Super Amoled Display with Gorilla Glass 4 protection and a monstrous pixel density of 577 ppi ( Pixels per Inch ). Now for those who don’t know, human eyes saturate at around 300 ppi which is commonly known as the retina pixel density. Anything above that cannot be perceived by us. In such cases , you can see the power of this high pixel density when you zoom into text and images. Phones with lower pixel densities tend to pixelate image and text on zooming to the maximum. However, if you do the same in the S6 Edge, you have my word that neither the images nor the text will suffer from any pixelation whatsoever. 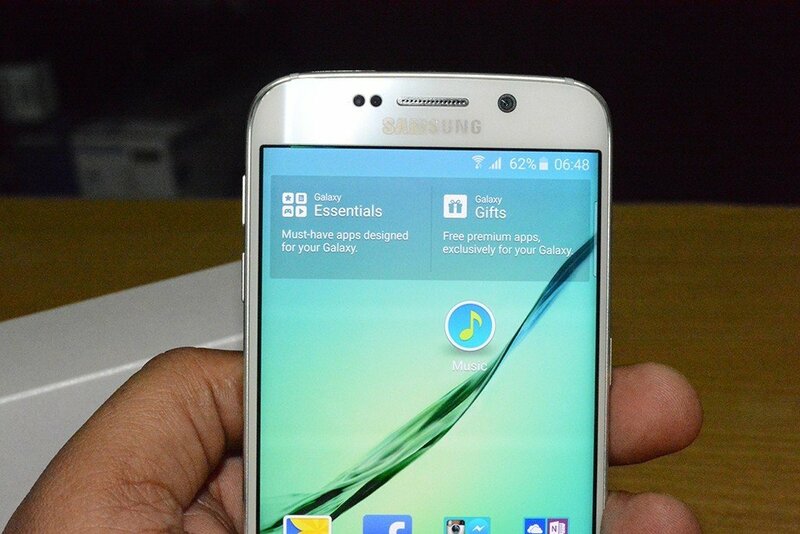 The main point to be noted here is the dual edge display. The basic idea of the edge display is for you to get instant notifications without having to go through the hassle of unlocking you phone and going to the app in question. While major developers have optimised their apps to support the edge notifications and it won’t be long before the others join the wagon as well. Performance – Samsung end their long time tie up with Qualcomm following the continued delays of their 810 Chipset and instead, went back to the drawing board and came up with an improced version of their home grown Exynos Chipset. The Exynos Chipset was somethign of a no no for all Samsung fans in the past, but this one is on a completely different level. The Chipset I am talking about is the all new Exynos 7420 which comes loaded with a 1.5 GHz Quad Core Cortex-A53 & 2.1 GHz Quad Core Cortex-A57 processors. Along with this CPU package, you also get a Mali T760MP8 GPU which can handle almost anything you throw at it. 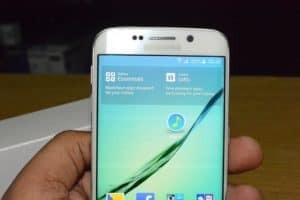 While all this is happening in the background , the only thing visible to the user is the OS, and thankfully, its not KitKat.The Galaxy S6 Edge boots Android 5.0.2 Lollipop which is a huge sigh of relief, because this means you don’t have to wait in line for Lollipop OS like many others. You just have to boot your device and enjoy. So, as far as the Performance goes, all components are the latest on the block, and good to go. Memory and RAM – There are two things a customer always checks before buying a phone – The memory capacity and the Battery life. When it comes to memory, I am a bit put off to be frank. I agree 32/64/128 GB of internal memory is adequate these days, but the absence of the SD card option really gets to me. You can call me old fashioned , but there is nothing better than our good old SD card expansion. 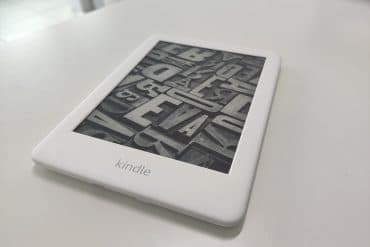 You could go in for the USB on the go options but then you will have to carry those USB devices with you wherever you go, and as far as cloud storage is concerned, I don’t really trust the security on those things. The last hack on iCloud made it look like Apple had set up gameboy level security on it. So, personally, cloud storage is a big No No.Anyway, the lack of SD card expansion put me off, but the RAM got me right back. 3GB RAM is the standard for flagship grade phones these days, and Samsung has made sure that even their ” Experimental device ” gets the best there is. 3GB RAM means your multi-tasking is nothing short of effortless, and thanks to the revamped Touchwiz UI, Multi-tasking just got even better.Overall, a good memory section , though I still believe an SD card slot could have been included. RAM is perfect – I couldn’t have asked for anything more. Camera – Samsung made sure that the camera section gets a much deserved upgrade as well. So what we have now is a brilliant 16 MP rear camera sensor with features like Autofocus, LED flash, Geo-tagging, touch focus, face detection, Auto HDR, panorama and most of all – OIS ( Optical Image Stabilisation ). All this means only one thing – Professional Quality pictures, straight from your smartphone. But its not just the picture quality that sets this apart, the video recording section is world class as well. The 16 MP rear sensor, has been adequately equipped to record videos of [email protected], [email protected] and [email protected] It also supports HDR mode and dual video recording as well.If you are a selfie addict, the 5 MP front snapper will surely impress you. 5 MP didn’t sound like much at first, but when its a device as good as this, you can actually expect miracles from the 5 MP front camera as well. As for its video capabilities, the selfie snapper can record videos of [email protected], and also supports dual video calling and auto HDR for better functionality.Overall, I feel that the Camera is a stellar one and probably the best there is in the market right now. So, if camera phones is your thing, look no further. Battery – The S6 Plus comes with a Non-removable Li-Ion 2600 mAh battery, which according to me isn’t quite enough. The phone is a flagship and a half, and fitting it with a 2600 mAh battery just doesn’t cut it. 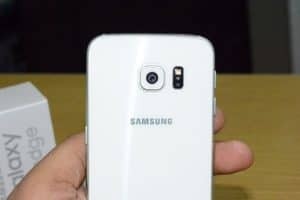 In my opinion Samsung should have gone for a battery higher than 3000 mAh in order to give it that much more endurance. In the present scenario however, I suggest you invest in a power bank at the time of purchasing this device, as it is a given that you will have to recharge the device on a frequent basis if you are one of those heavy users. 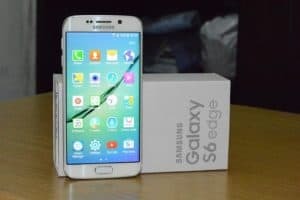 All in all, I would say that the S6 Edge is undoubtedly the best thing that has happened to the Galaxy lineup and the smartphone world in general. Innovation like this has definitely reassured me that the future of smartphone is bright and in safe hands. Would I recommend this device ? – YES.